The sphygmomanometer, also known as a blood pressure meter, has been the primary tool in measuring the pressure of blood for decades. Nowadays, there are electronic sphygmomanometers that could measure your blood pressure with just a push of a button, but these devices, though effective, are too bulky for everyday use. In line with this, a research team at the University of California, San Diego, is working on a simple stick-on patch that is put on the neck, which would continuously measure a person’s central blood pressure. This blood pressure is from the aorta, the main artery, which sends blood to all the different parts of the body. 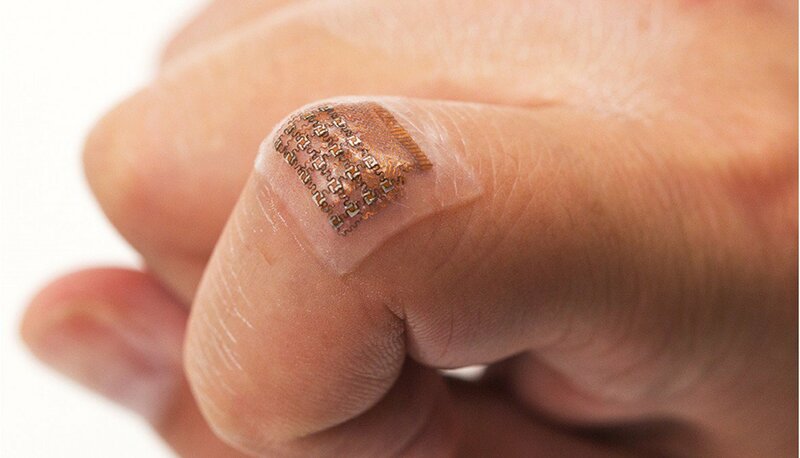 This patch, made of silicone elastomer (a type of polymer), works by sending ultrasonic waves that penetrate the skin and reflect off the wearer’s tissues and blood. The reflections bounce back to the sensor, and then a computer processes the data gathered. It is the first known wearable device that can sense deep below the surface of the skin. For now, the patch still needs to be wired to a computer and a power source, but the results are still promising. The patch is less invasive than current central blood pressure meters, and can provide a lot more information than you can get from a standard sphygmomanometer. Want to know more about this awesome device? Follow this Link!